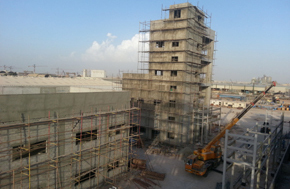 Nuberg EPC is a global EPC and turnkey project management company. 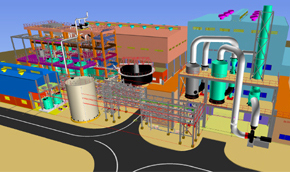 We offer single point responsibility solutions and services for engineering and construction of industrial plants, from concept to commissioning. Nuberg has delivered over 60 turnkey projects across 32+ countries in past 20 years. Our solutions, technology & engineering services are known to deliver projects with best in class quality, on-time and within budget. Nuberg provides turnkey project solutions with basic engineering and process know-how either from its own intellectual property or licensed from global technology suppliers. 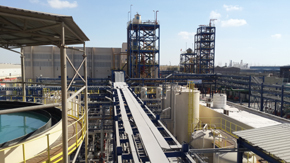 As one of the fastest growing EPC companies in chlor alkali / caustic soda, hydrogen peroxide, sulfuric acid and calcium chloride, we serve in the chemicals & fertilizers, hydrocarbon, steel and nuclear & defense industries worldwide. Engineering - Our in-house engineering set up with more than 300000 available engineering man hours has dedicated teams of experts for basic engineering, front end engineering design (FEED) and detail engineering. Nuberg combines its decades of experience and analytics with modern tools and software to deliver safe, modern and efficient engineering solutions. Procurement & Expediting - With procurement specialists who work around the globe for the maximum profitability of a project, Nuberg provides genuine, safe and economical solutions for goods and services. Our supply chain has the most competitive international suppliers, equitable contracts and reliable delivery system which enable us to expertly handle complex industrial projects and deliver them on-time. Nuberg’s skilled and exclusive procurement department controls the progress of the suppliers for quality, testing, inspection, packaging, and timely delivery. Construction - Over the years Nuberg's has developed vast pool of local knowledge, experience and expertise. With a team of 200+ professionals and a large pool of approved contractors with global experience, Nuberg has a unparalleled expertise and reach in the construction industry. Nuberg has a proven track record of successfully completing complex projects in toughest terrains and working smoothly with various government agencies and labour laws. 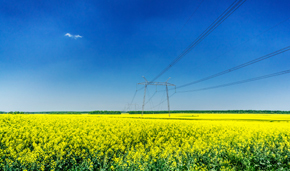 Commissioning - In Nuberg a specialized team of experts execute commissioning services in a monitored, planned and quantified method. We deliver safe, reliable and functioning plants keeping in mind the safety of vendors, clients, employees, suppliers and sub contractors. Quality & HSE - Nuberg follows stringent quality and safety standards through its processes and project activities. We have a remarkable track record of zero accident in our history so far. 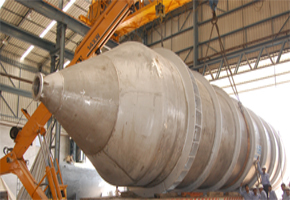 In-house Manufacturing - With headquarter in Noida and state-of-the-art modern fabrication facility in Gujarat, Nuberg has been designing and fabricating process equipment for the chemical industry for more than two decades. 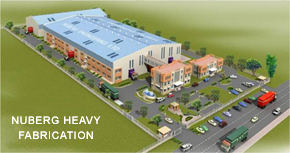 The fabrication facility is very well certified with ISO, ASME, U Stamp and IBR etc. accreditation and is spread across an area of 115000 sqm. R&D Facility - Nuberg EPC is a specialized company in the integrated management and development of turnkey projects with a great technological approach. 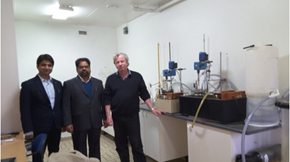 With our research & development facility in Sweden, we have developed in-house process technologies for various products, which have been successfully applied in large scale industrial plants worldwide. Some of our esteemed customers include Al Ghaith Industries (Abu Dhabi), Inovyn (Sweden), FLUODER (Paraguay), ADDAR (Saudi Arabia), Gulf Chlorine (Qatar), Union Chlorine (Abu Dhabi), DOSTEL (Turkey), Samuda Chemical Complex (Bangladesh), AGROCHEM (Egypt), SARL SASKO (Algeria), AMASSAS Co. (Ethiopia), Aditya Birla Chemicals (India), Emirates Chemical Factory (ECF, Abu Dhabi), TCI Sanmar Chemicals (Egypt), Tasnim Chemical Complex (Bangladesh), SACHLO (Saudi Arabia), Indian Oil Corporation (IOCL, India), National Fertilizers (NFL, India), Indian Space Research Organization (ISRO, India), Oil & Natural Gas Corporation (ONGC, India), Steel Authority of India (SAIL, India), Rashtriya Ispat Nigam Limited (RINL, India), High Explosives Factory (HEF, India), Heavy Water Board (HWB, India), Nuclear Power Corporation of India (NPCIL, India), Defence Research and Development Organisation (DRDO, India).